Of Mouse And Mushroom: Where do Your Eggs Come From? I adore these two ladies and the gifts they give us. They are the happiest of creatures. 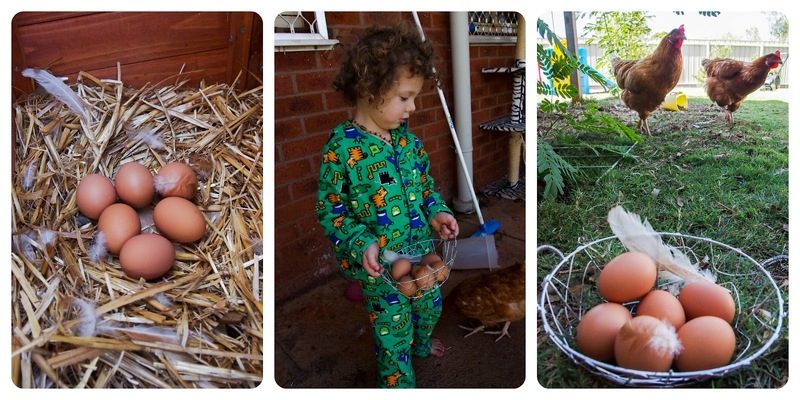 I love that my boys know that eggs don't come from a carton. We have the best tasting eggs, these girls are well fed! I am thinking of adding another couple chooks to our brood when we have sorted their accommodation, they are very free range, they keep escaping!